Healthy body, Healthy mind is a self-help handbook for women. It combines detailed information on a women’s body with advice on how to protect and improve health. It includes information on self-help treatments for common health problems as well as treatment options for more serious illnesses. 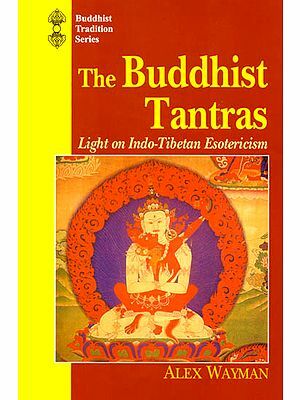 Originally published in 2005 in Tibetan, this book was written to fill a perceived vacuum- a lack of easily accessible information for Tibetan women on their bodies and related health issues. Since then we have been asked to publish an edition in English for those Tibetan women who have received and English medium education. Healthy Body, Healthy Mind has been made possible by the commitment and determined effort of many different people. We are immensely grateful to the Global fund for women who provided the funding for both the Tibetan and English editions of this book. The book was developed under the auspices of the Tibetan Nuns Project, based at Dolma Ling Nunnery, Sidhpur, Himachal Pradesh, and its development was managed by the Co-Directors of the Tibetan Nuns Project, Ven. Lobsang Dechen and Dr Elizabeth Napper. The project was initiated by Marlies Bosch, who not only organized the funding for the project but also produced the first draft of a health book for women based on the American publication Our Bodies, Ourselves and took photographs especially for use in the book. The first draft was then edited, revised, expended and illustrated by Jo Gibson. Tsering Lhamo, at that time working for the Tibetan Government in Exile Department of Health, provided advice and invaluable input on local conditions, health, problems and treatments available. Anie Greig, nurse and midwife, provided helpful comments. Sally Whelan and others at Our Bodies, ourselves as well as Marlies Bosch read the English manuscript and provided useful comments and refinements, which were then incorporated into the text. Antje Kharchi volunteered her time to produce the layout for the English edition and trained our staff in the program in design as part of the process. Finally, we dedicate any merit gained from this project to the long life of His Holiness The Fourteenth Dalai Lama, Tenzin Gyatso, whose boundless love and compassion towards his people and all suffering sentient being are a constant inspiration. Staying healthy is an important part of being happy. When we are ill or weak everyday life becomes difficult. A healthy woman has all the energy she needs to work in the home or outside, to study hard if she is a student, to do Dharma practice, to look after other family members and children, to enjoy her life to the full. Sadly, women’s health has often had a low priority and is still not prioritized in many societies, so even when a woman takes as much care as possible to look after her own health, there are other factors, outside her control, which are important, environmental and economic situation and her level of education. Worldwide, poverty is the most common cause of ill health and early death. Poverty can lead to malnutrition. It reduces educational opportunities. Women are forced to work in poorly paid jobs in dangerous workplace. Poor people often live in overcrowded housing without proper sanitation or a supply of clean water. Consequently, they are more vulnerable to diseases such as T.B. which are associated with crowded conditions, and diseases such as cholera and dysentery that come from germs in unclean water. They suffer more form stress, family violence and problems of alcoholism and drug addiction. Poor women often cannot afford medical help or medicine. Status means the importance given to a woman within the family and within the community. It affects all aspects of her life and can seriously affect her health. In many parts of the world, women have a lower status than men. Even in countries where women have equal rights and supposedly equal value, the evidence shows that, in practice, this is not always true. The girls in a family sometimes receive fewer of the family’s resources and a lower standard of education than the boys. In some families the men- husbands, fathers, brothers- believe that they have the right to hit or beat women family members. Women often do not have the same opportunities as men in both education and the workplace. The health care system often does not provide for women’s specific needs. Women who attend school till class 8 are usually better able to look after their own health and the health of their children than those who have only completed primary school or who have never had the opportunity to go to school. In some societies, women’s education is still undervalued. Priority is given to the education of the sons. Yet, as evidence collected by the World Health Organization shows, education on the general well-being and progress of that society than the education of men. Many women have two jobs. From early morning to late at night they have to look after their children, their husband and other family members, washing, cleaning and cooking. Yet, during the day, they must also work in the fields or the market or in the carpet factory in order to get extra income for the family. This can affect a woman’s overall health, crease extra stress and worry in her life, and allows her no time to relax. At all social levels this combination of work and home responsibilities can be overwhelming. Although most Tibetan men enjoy helping with the children, many also expect that at the end of their day’s work, they are entitled to relax, go out with their friends, and enjoy themselves at home or elsewhere. Women, on the other hand, often suffer from lack of sleep, lack of support, and limited opportunities. Good nutrition is vital throughout a woman’s life. If a young girl does not get enough nutritious food, she will not grow properly. Consequently, she may be very short, and her bones, especially the pelvic girdle, may not develop properly so that she will have difficulty later in life when giving birth. Her pelvis may be too small for the baby’s head to pass through; in thacase, both she and the body will die unless she is able is able to have an emergency operation. When she starts to menstruate, lack of good food means that she will easily become anaemic, so she will feel tired and weak. Because of poor nutrition, she will be more susceptible to diseases such as TB. An undernourished or anaemic woman is more likely to die in childbirth or to suffer serious problems from bleeding and infection. A recent report from the Indian Government states from that more than 80% of women and girls in India are anaemic. Anamia can lead to heavier bleeding during childbirth, which can sometimes be life-threatening. If a mother is undernourished, her baby may be born too small to survive. A third of babies born in India are underweight. Finally, as a woman gets older, good nutrition is essential to prevent conditions such as osteoporosis (see chapter 6) and to help her body stave off infections and disease. At present, government health services in India and the surrounding countries are often inadequate, especially in rural areas, 80% of health care is provided by private doctors, clinics and hospitals, and many women cannot afford private health care. Although many clinics provide family planning advice, immunization services, and childbirth facilities, many do not have either the skilled people or the equipment for diagnosis and treatment of women’s health problems. A sick woman might have to travel many miles to al large town before her illness can be diagnosed and treated properly, and in government hospitals, treatment for her illness might be too expensive. These examples highlight how many factors at work in society can affect a woman’s health. Women in various parts of India and neighbouring countries are beginning to work together in order to support each other and bring about change. You too have an important part to play in bringing about change and spreading information in your home, in your college, in your nunnery, in your workplace, and in the wider community where you live. The aim of this book is to help you to improve the quality of your life and the lives of other women by providing basic information on how a woman’s body works, general advice on keeping healthy, and, and a description of common medical problems and their treatment.